In a saucepan add water, sugar or honey, star anise, cardamom, ginger, cinnamon sticks, nutmeg and cloves and bring to a boil. 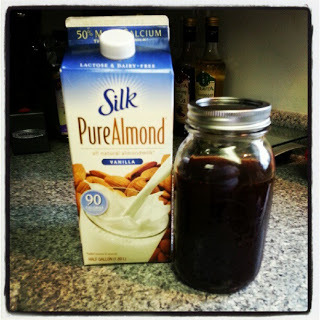 You can make your chai w/ 1/2 chai concentrate and 1/2 milk (I use unsweetened vanilla almond milk). Drink it the way you like it…iced, blended or hot. It’s all good!! !